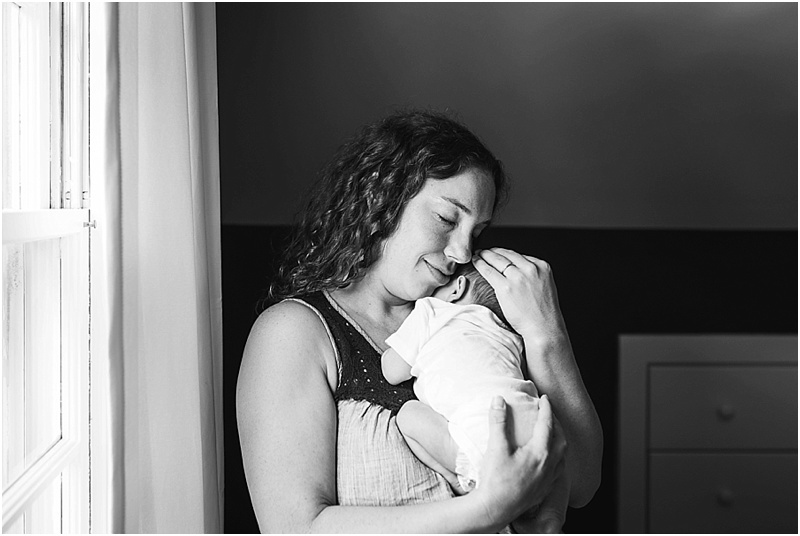 Welcome to the World Baby Elliott | Leesburg Newborn Photographer — Northern VA Newborn, Maternity, and Family Photographer serving Ashburn, Leesburg, Purcellville, & Loudoun Co.
After looking flawless during her maternity session in almost 100 degree heat, I knew that Katie would be a rock star new mom. 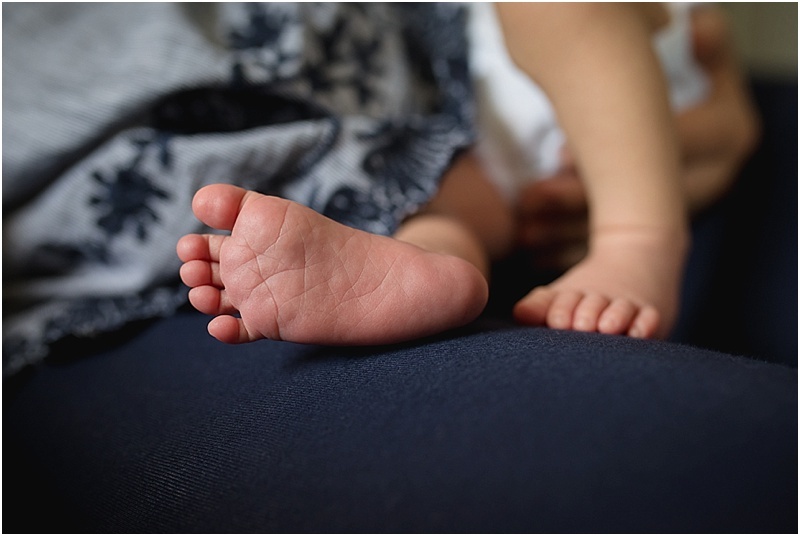 When I arrived to their adorable home in the most charming neighborhood near downtown Leesburg, VA for their lifestyle newborn session, I was immediately impressed with how at ease she and her husband, Keith, were despite the fact that they had only been parents for about two weeks! 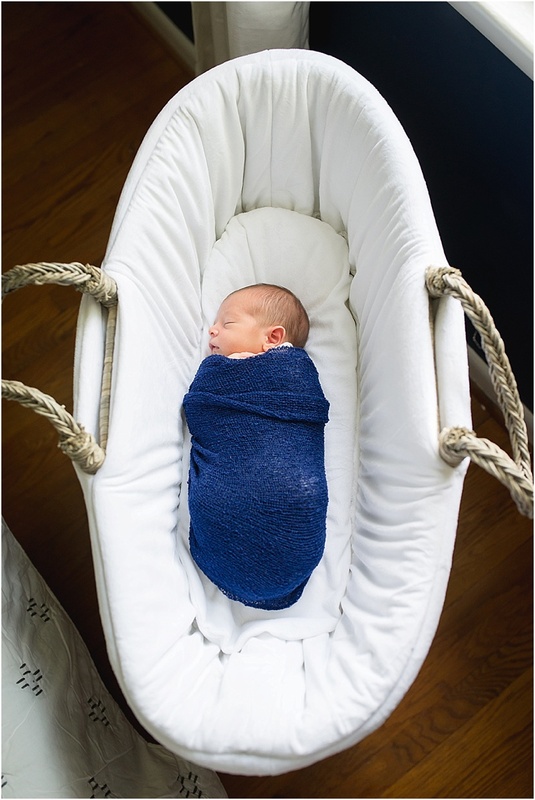 Their son, Elliott, was just the sweetest little peanut. 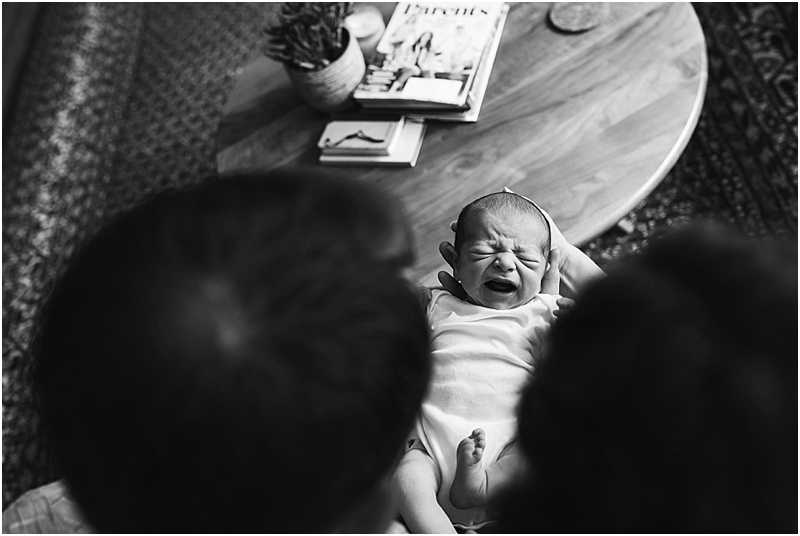 Like most newborns, he was still waking up quite a few times at night to eat so the coffee was flowing in the Hughes household! Those early days are SO blurry, aren't they? 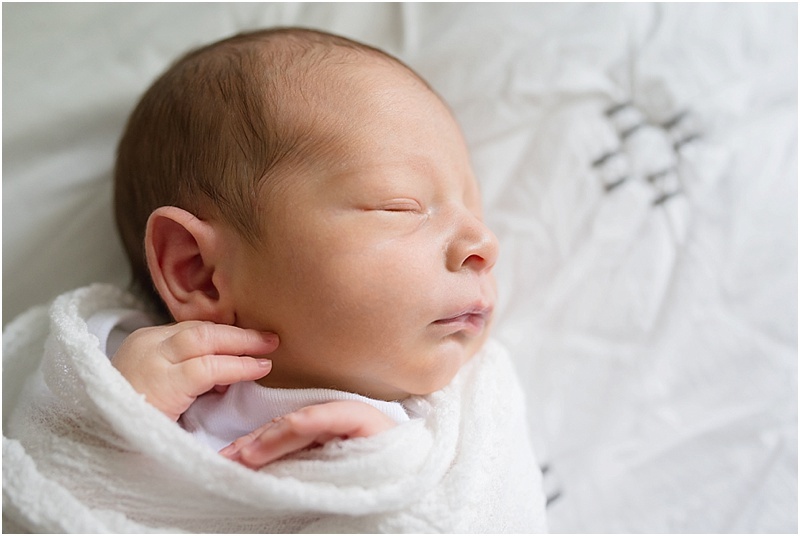 Feed, sleep, poop, repeat! 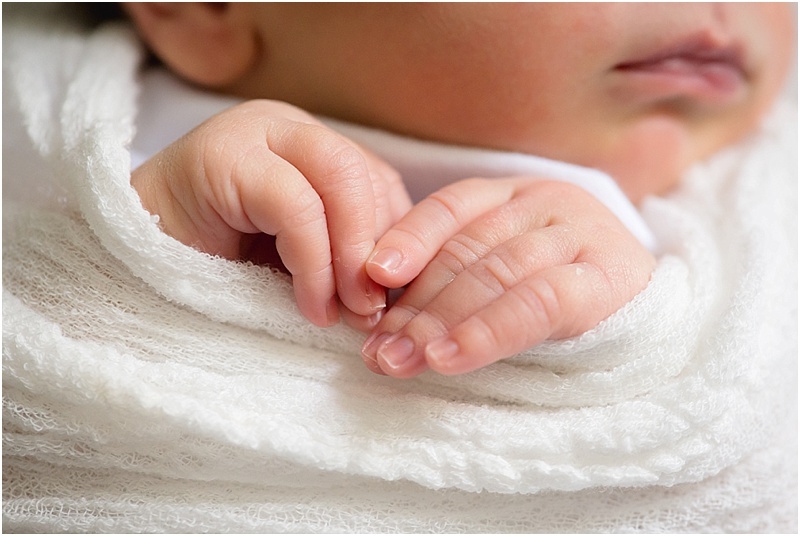 In the blink of an eye, your baby enters the world and EVERYTHING changes. It really is a watershed moment. 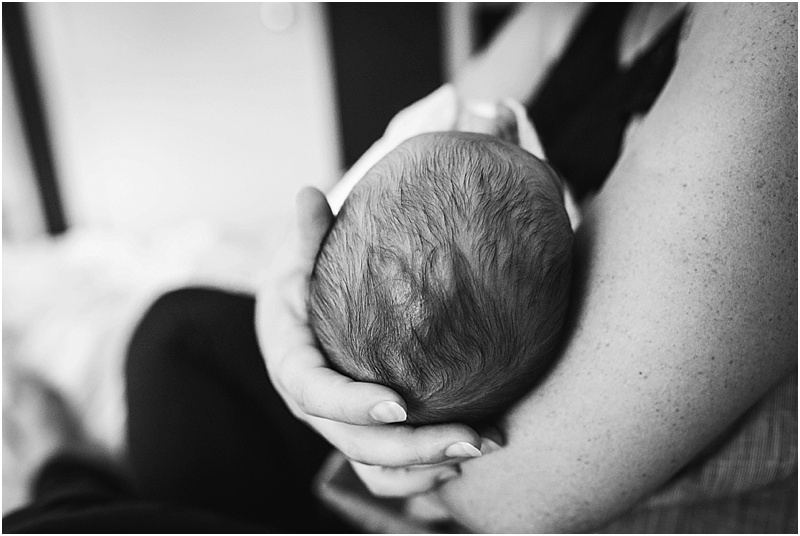 From that day forward your life is divided into BEFORE becoming a parent and then AFTER. 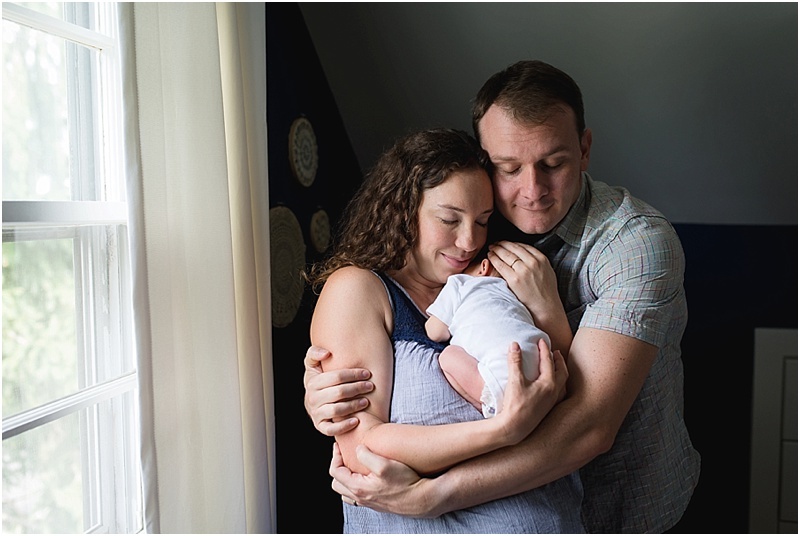 I'm so glad that Katie & Keith opted to have maternity portraits taken too because one day when little Elliott grows up, it will be truly unbelievable that he was once so small as to be able to fit inside his mommy's tummy. The Hughes' home decor was absolutely beautiful! Katie described her style as 'comfy modern' and I definitely agree! 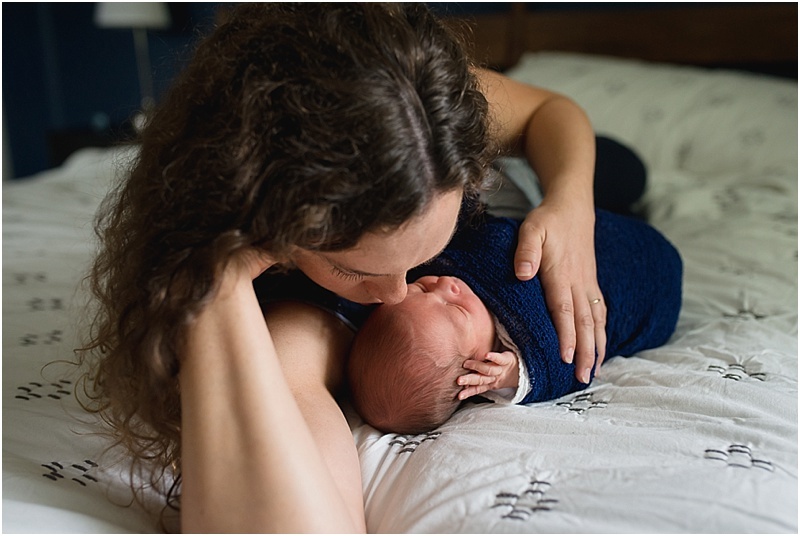 I love having in-home lifestyle newborn sessions because you really get to see families in their own element, being completely and uniquely themselves. 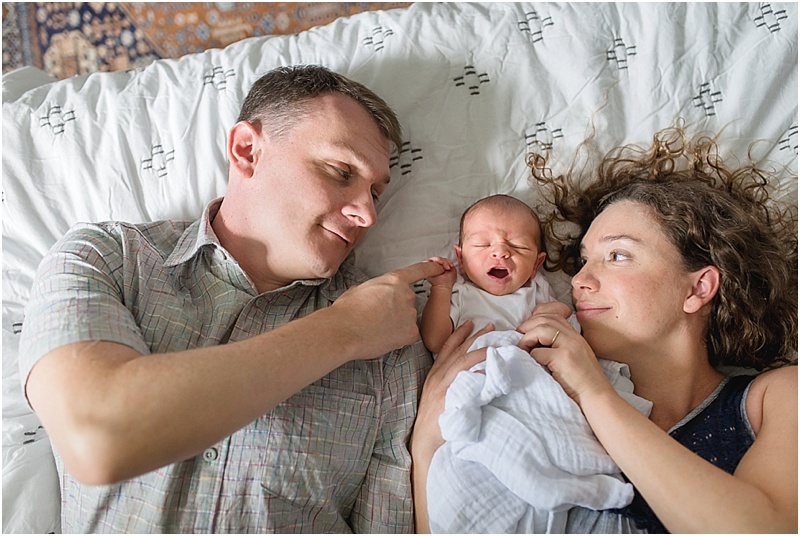 It's such an amazing opportunity to help couples like Katie and Keith to capture this special and fleeting time in their lives. 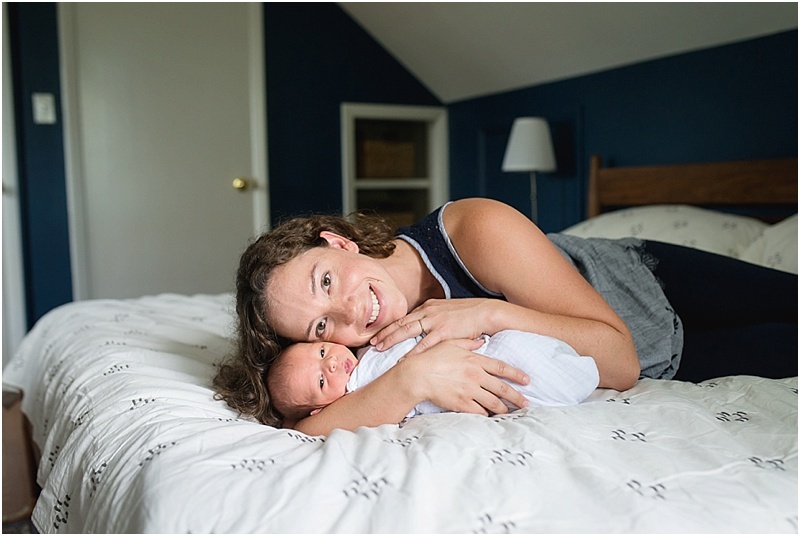 The day of Elliott's newborn session was the first day back to school for Loudoun County teachers, so it was also Katie's first official day of maternity leave since she is a local teacher. I'm sure it was a little weird to not be setting up a classroom with her colleagues, but her sweet little buddy was the most wonderful reason not to be at work. And boy, oh boy, did he want his momma that day. He was a hungry little fella and did not want to be parted from Katie for very long. I can remember times like that with my kiddos too. Where all you feel like you are doing is nurse, nurse, nurse, and nurse some more!! She handled it beautifully though, like the rock star that she is! Elliott has two adorable fur-siblings who enjoyed being a part of the session as well. 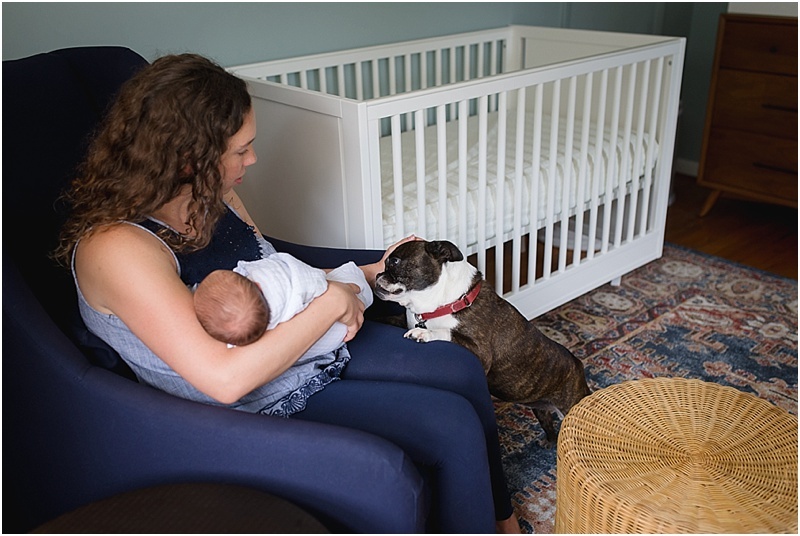 They were adjusting well to having a new addition to the family and were super sweet to me as a guest in their home. 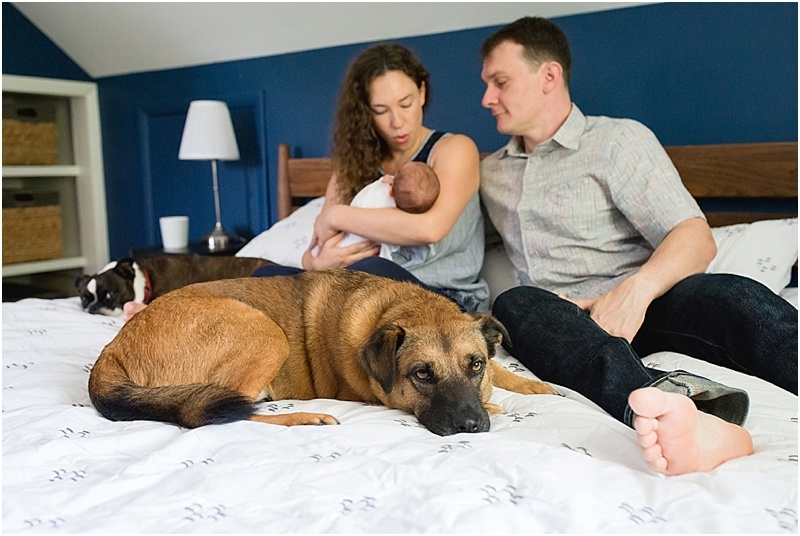 I always love getting shots of the WHOLE family during newborn sessions, pets and all! Check out some of the highlights from their session below!